Daniel Rychlik, M.D., will present a lecture on “PCOS”. He will discuss how to 1) Formulate practice guidelines for the diagnosis and treatment of PCOS. The conference will take place on Tuesday, March 19, 2019, at noon, in Nichols Auditorium. Lunch will be provided and Category 1 & 1-A CME will be available. 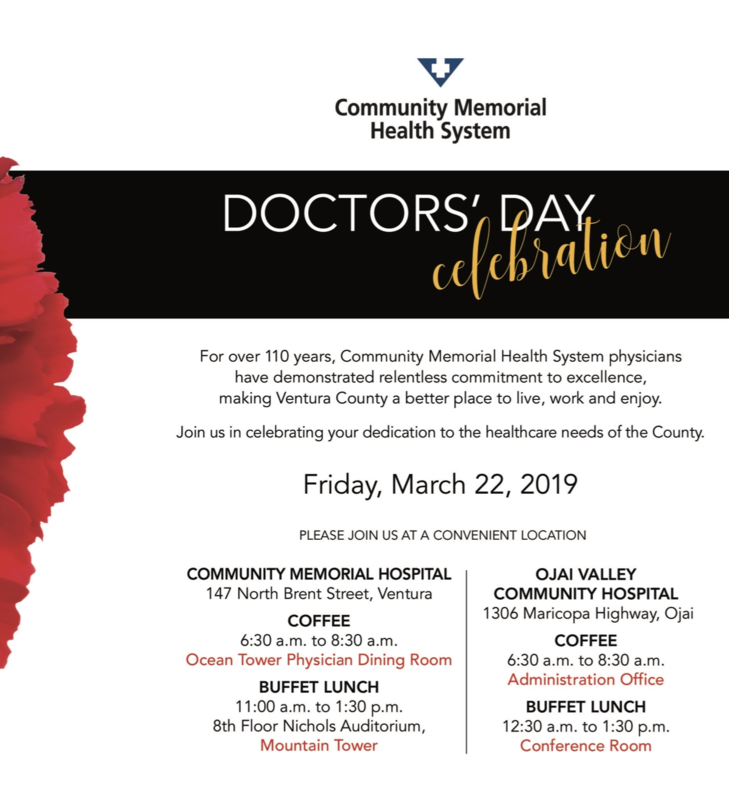 If you would like to view this lecture online, please contact the CME Coordinator, Christeva Vazquez atcvazquez1@cmhshealth.org or 805-948-5638 to be added to the webinar list. Come to the celebration to enjoy a great catered luncheon and the camaraderie of your colleagues and friends. 6 December 2018 – The first class-action anti-trust lawsuit against the ABIM – the largest ABMS member board – is filed. 26 Feb 2019 – Another class-action antitrust suit on behalf of approximately 25,000 US radiologists was filed in federal district court in Chicago against the American Board of Radiology. 6 Mar 2019 – The MOC® legal battle now includes the American Board of Psychiatry and Neurology, too. CMH Outpatient Lab Draw Station previously located in the Mountain Tower has moved to the NEW Ocean Tower! All laboratory specimens from physician office’s or home health agencies can be dropped off 24/7 at the Main Lab in the Mountain Tower. Please pick up the phone next to the door and the staff will let you in. 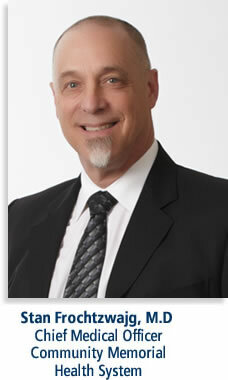 Dr. Michael Trauner is joining our long-standing Dermatologist, Dr. Joel Siegel. Dr. Trauner in addition to practicing dermatology specializes in Mohs Surgery. Michael Trauner, M.D., is a fellowship-trained Mohs micrographic surgeon. He earned his medical degree from Duke University. Dr. Trauner completed his residency in dermatology at the University of California at Davis Medical Center and a fellowship in dermatologic surgery at the New England Medical Center in Boston. Developed by Dr. Frederick Mohs in the late 1930s, Mohs surgery has been widely embraced by surgeons as the most advanced, precise and effective technique for treating a wide variety of skin cancers. Unlike traditional surgery, which involves removing visible cancer as well as the surrounding healthy tissue, Mohs surgery ensures that all traces of cancer are removed without causing unnecessary harm to healthy skin. After intense lobbying from the California Medical Association (CMA), Gov. Gavin Newsom signed a bill on Monday that will end the confusion caused by the flawed implementation of the state’s new prescription pad law. AB 149 will delay implementation of the new law until January 1, 2021, ensuring that patients will continue to have access to the medicine they need while the state creates a system to better track prescriptions across the state. Physicians will be required to order a new set of prescription pads by that date, and the Department of Justice (DOJ) will determine the specs of those new pads sometime next year. We’ve just been notified of another sodium bicarbonate shortage. Both the abbojects and vials are unavailable from our distributor until mid-June. We have a very limited stock of 50 meq/50mL abbojects remaining in a few pyxis machines and in crash carts. We have stock of about 150 50 meq/50mL vials but don’t expect this to last until June. 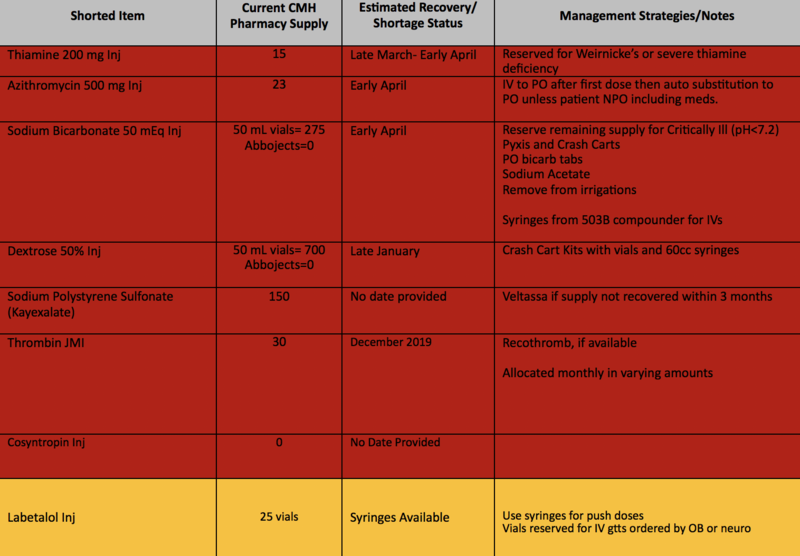 We will be reinstituting the management strategies we used during the last bicarb shortage in 2017 to preserve our remaining stock for crash carts, severe metabolic acidosis, and TCA/salicylate overdoses. Call CMHS Pharmacy for management protocols as needed.